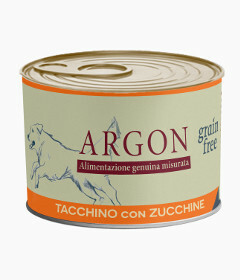 for the natural well-being of your dog. Argon Grain Free, so many different flavors, without cereals, for the natural well-being of your dog. 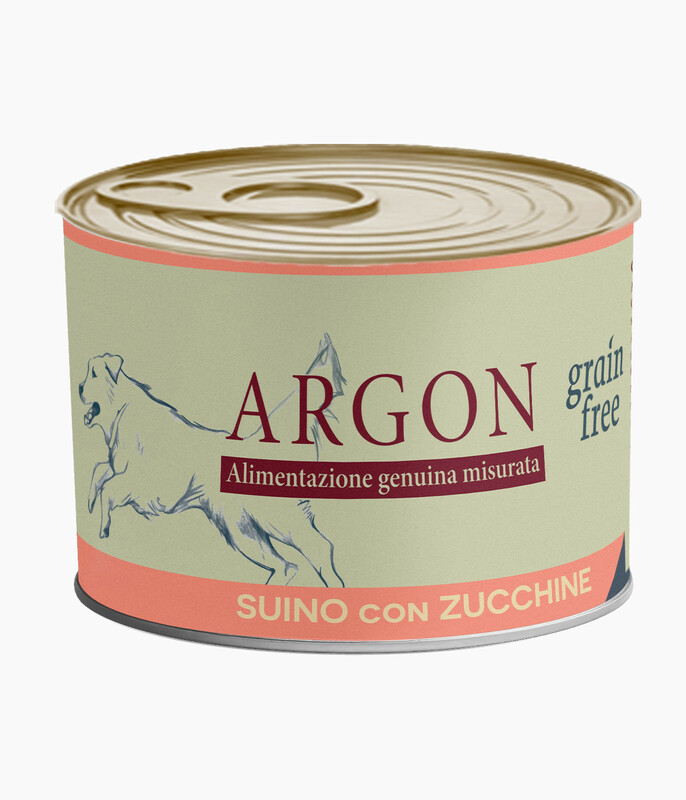 Born from the experience of Argon, Argon Grain Free moist is a line of high quality Italian products, designed to offer the adult dog a combination of rich, balanced and completely grain-free nutrients. Argon Grain Free is suitable for adult dogs of all sizes and it is characterized by high content of meat, in respect of an appropriate diet to the carnivorous nature of the dog. Six different recipes, enriched with vitamins and antioxidants, in a mix of many ingredients and different tastes for a healthy and balanced diet. The high nutritional value, the taste and the digestibility typical of turkey associated with vitamins and minerals of carrots. The high nutritional value, the taste and the digestibility typical of turkey associated with the beneficial properties of zucchini. The high biological value, the high digestibility and the high content of B vitamins group typical of pork associated with the beneficial properties of zucchini. The high biological value, the high digestibility and the high content of B vitamins group typical of pork associated with vitamins and minerals of carrots. The high digestibility, the low fat content and the high biological value proteins typical of chicken associated with the beneficial properties of zucchini. The high digestibility, the low fat content and the high biological value proteins typical of chicken associated with vitamins and minerals of carrots.